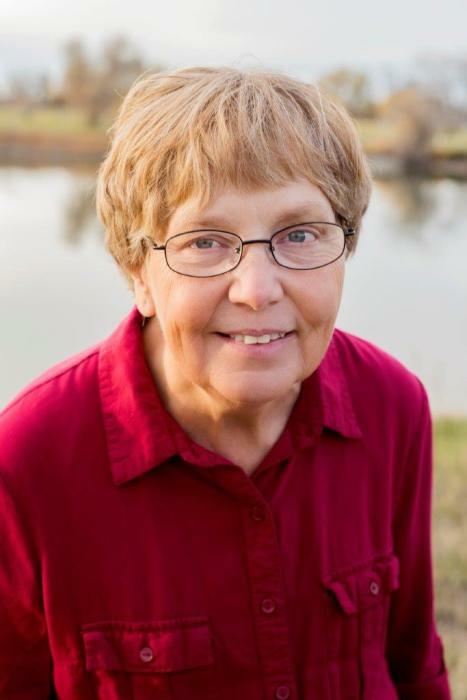 Kaye Dawn Larson Silcock, 64, of Burley Idaho, passed away peacefully at her home surrounded by her family on February 11, 2019. Kaye Dawn was the youngest child born on October 2, 1954, to Reed Brigham and Mary June Little Larson. She joined three older sisters and one older brother. She attended schools in Springdale and Burley. She was a cheerleader and Stepperette and graduated from Burley High School. She then went on to study bookkeeping/office skills and graduated from Ricks College. Kaye Dawn was married and sealed for eternity to Richard Donald Silcock on August 22, 1975 in the Idaho Falls Temple. They made their home in the Springdale area and were blessed to have five children-- Angela, Justin, Tyler, Brigetta and Sarah. She was a woman who knew and taught her family to look for the good in others, to love, serve and forgive. She was a lifelong member of The Church of Jesus Christ of Latter-day Saints and served faithfully in many callings. Her favorite was serving a mission with Richard to Cape Town, South Africa. She quickly grew to love the people there and treasured their experiences and considered it a highlight of her life. She enjoyed carrying on the tradition of making and eating sugar cookies with her children and grandchildren. She cherished many memories of family being together during the holidays. Her grandchildren will remember that she always loved to play games and do puzzles and made them feel loved. She had a fun sense of humor and loved to laugh. She used her skills and did the finances and bookkeeping for the family businesses. She took good care of her family and was often found serving others. She was a Christlike person who showed kindness, selfless service, patience and taught us how to endure to the end in spite of trials and challenges. She courageously endured the effects of Parkinson’s and dementia, taking each day at a time and keeping a positive outlook. She was loved by her family and will be greatly missed by those that knew her, but her example will continue to inspire and guide us. She is preceded in death by her parents. She is survived by her husband, Richard of Burley; her children, Angela (Ryan) Hoopes of Burley, Justin (Julie) Silcock of Declo, Tyler (Melissa) Silcock of Burley, Brigetta (Jaman) Brunson of Shelley, and Sarah Silcock of Pocatello; 17 grandchildren; and her siblings, Beatrice (Irvin) Thurston, Delilah (Murlan) Carter, Lary (Fran) Larson and Lyndell (LaVell) Darrington. The funeral will be held at 11:00 a.m. on Monday, February 18, 2019, at The Church of Jesus Christ of Latter-day Saints – Declo Stake Center, located at 213 W Main St. in Declo, with Bishop Brian Wilde officiating. Burial will follow in the View Cemetery. Friends may visit from 6:00 until 8:00 p.m. Sunday, February 17th, at Morrison Payne Funeral Home, 321 E Main, in Burley, and from 10:00 until 10:45 a.m. prior to the funeral on Monday. The family expresses appreciation to the caregivers of Hearts 4 Seniors Home Care, Harrison’s Hope Hospice and many friends for the compassionate care that was given to Kaye Dawn.